“We have heard from our families and delivered on the promise for a single calendar for all of our schools. 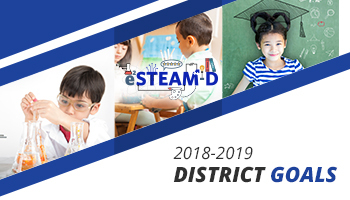 By having all AESD schools on a traditional calendar, we are not only providing families what they have requested, but we are continuing to strengthen our district’s emerging STEAM focus and dual language opportunities for all,” said AESD Superintendent, Christopher Downing. The Anaheim Elementary School District first implemented multi-track calendars in the early 1990s out of necessity, like many other school districts in the area. The 90’s saw a surge in population in the state of California, and Anaheim was no exception. Student enrollment was at a peak and school sites couldn’t keep up with space to install the portable classrooms needed to house all of the students. Around 1993, AESD leaders introduced a multi-track calendar as a response to overcome the obstacles caused by an enrollment trend that outpaced capacities at schools. Although multi-track calendars helped schools mitigate the issues caused by increased enrollment, it was never ideal for families. The traditional school calendar usually includes extended time off in the summer months- a time when many take vacations or children attend camps. Consequently, working families that have children on multi-track school calendars have to find child care for entire months during different times of the year when their children are “off track”. Also, for families who have children both in one of the multi-track schools and in the high school district- which follows a traditional calendar- this means that their children can be out of school at different times during the year. “Our families have voiced excitement about going to a single-track calendar. Many of our families have other children in junior high or high school and juggling multiple calendars has been daunting for many years. By having one calendar that is more traditional, families are able to better plan quality time together. This change allows our scholars to be motivated to attend school when their older siblings are at school,” said Dr. Yadira Moreno, Principal at Ponderosa Elementary. Parents at the three remaining schools have been voicing their desire to change to a single-track calendar for some time and district officials have been proactively working on a plan to make this change. Thanks to the support of Anaheim residents, local bond measures have been passed, resulting in most AESD school campuses being completely rebuilt or renovated from what they looked like in the 90s, meaning they have larger enrollment capacities. “I am so pleased that our families will no longer have to worry about their children being on two different school calendars,” stated Dr. J. Paolo Magcalas, AESD Board Clerk. The district held a series of meetings with stakeholders to identify barriers and find solutions as the transition takes place over the summer. At the end of one of the meetings, when AESD Superintendent Downing asked parents if they had any comments or concerns, a parent raised her hand and said, “finally.” With the infrastructure now in place and stakeholder support, at the start of the 2019-2020 school year, for the first time in 20 years, all 23 AESD schools will be on the same calendar. “We’re very excited about this mainly because this will be supportive of our students including those in high school. Parents and students aren’t going to choose whether or not they have to miss school to babysit their younger siblings. We are making sure all the districts- Anaheim Elementary and Anaheim Union- are working together with a calendar that is beneficial to all students,” said AESD Board President, Ryan Ruelas.